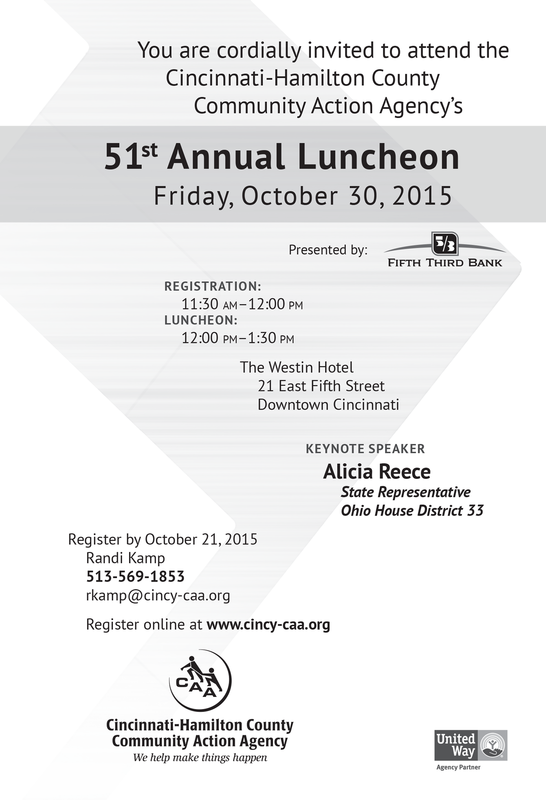 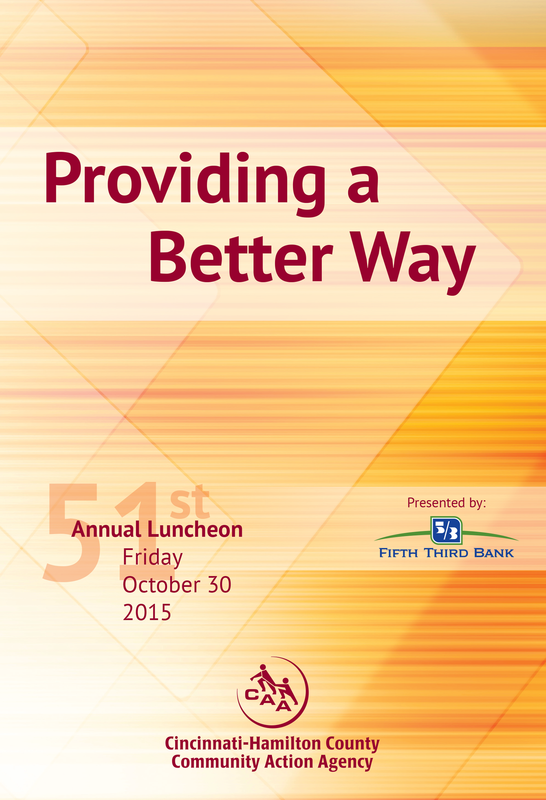 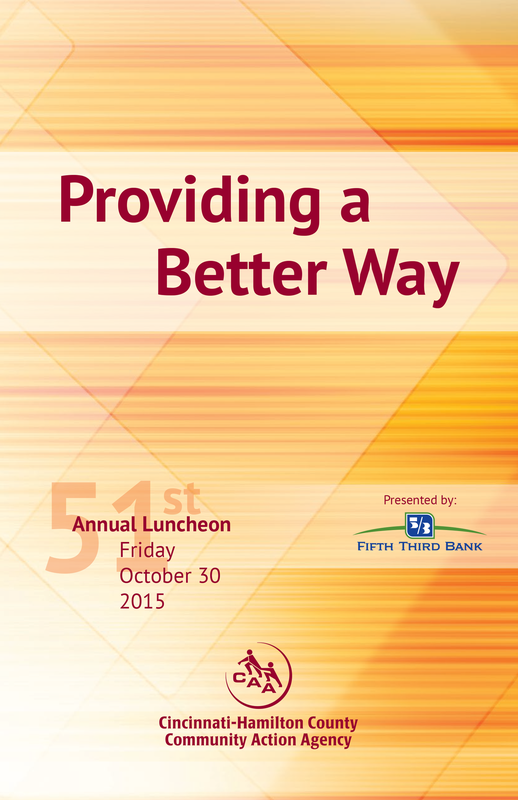 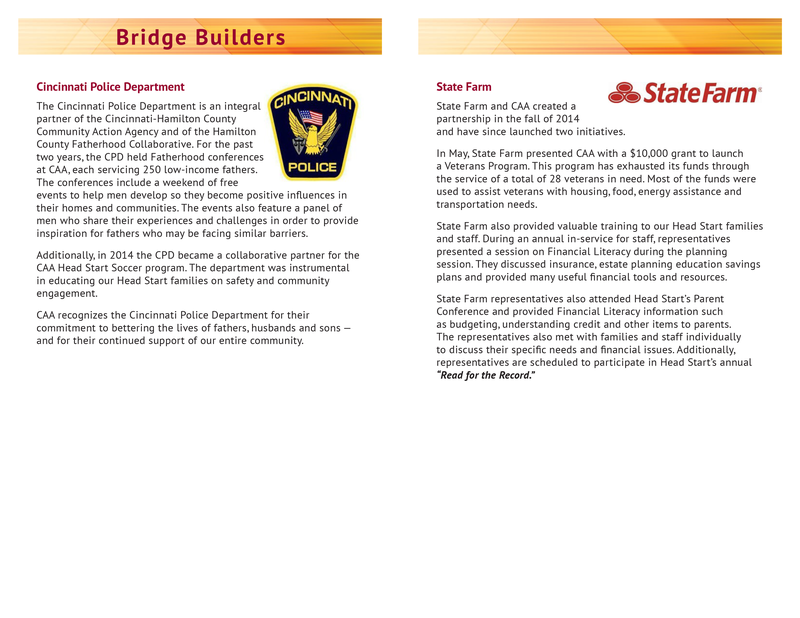 CAA: 2015 Annual Luncheon Materials | Klocke Design Inc.
Each year, the Cincinnati-Hamilton County Community Action Agency (CAA) unveils their annual report at a luncheon meeting. 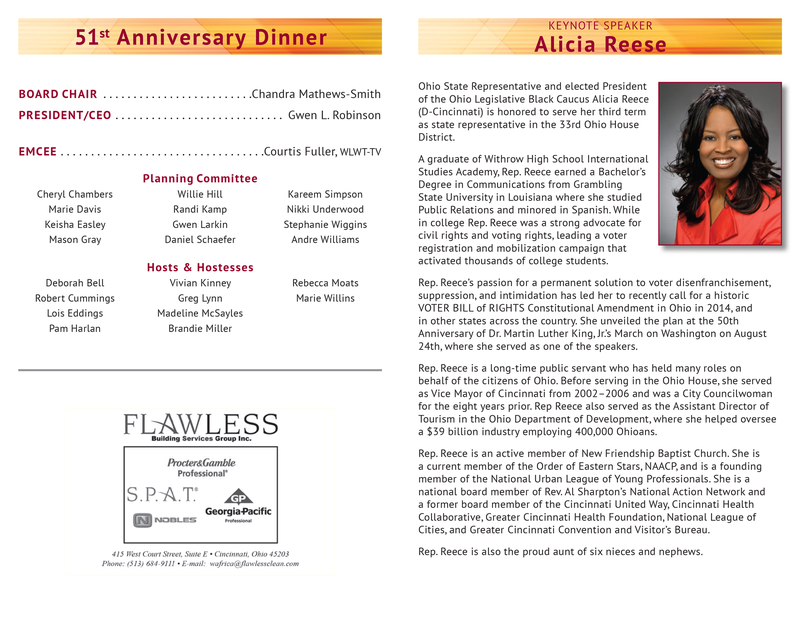 This year, the theme Providing a Better Way drove the design, using active colors and graphics showing movement and direction. 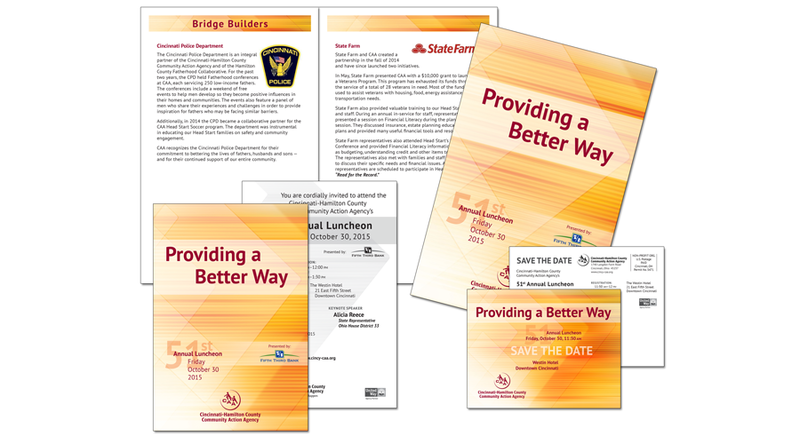 The luncheon materials (save-the-date, invitation, and program) all hold together with a consistent identity.